PADDED FRAME - Discourages wind and debris, cushions impacts. Vented for comfort. ANTI-FOG - Permanent lens treatment keeps your vision clear and sharp. FIT - Medium or large adult face width. 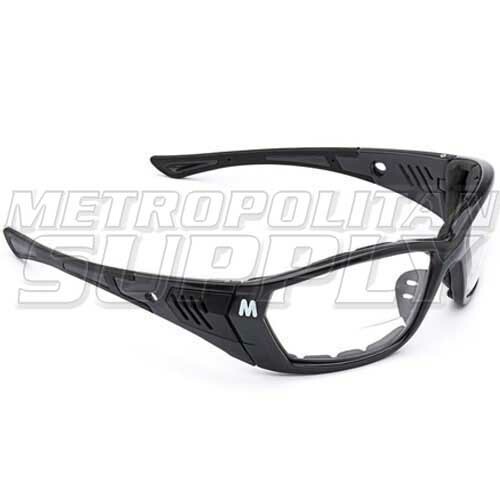 MORR lenses are engineered to provide the best possible protection for athletes who wear sport sunglasses. Packaging. Boxes are made from material that is Forest Stewardship Council certified. FSC's mission is to protect the world's forest for future generations. Case. Every pair comes with a microfiber case that doubles as a reusable polishing cloth.